On behalf, of the Oceanside National Little League Family, we would like to Thank our Sponsors for their contiuned Support to the Youth of Oceanside. Please Remember all our Sponsors. At Century 21 American Homes we realize that Long Island is more than just a place to live. From the close proximity to Manhattan, to the pristine beaches along the Atlantic Ocean and Long Island Sound, to the first rate schools, Long Island is an incredible place to live and work. Long Island 's real estate market is quite diverse offering entry level one and two family starter homes, condos and co-ops, estates with acreage, and waterfront opportunities. Our understanding of the area and involvement in the community allows us to satisfy the unique requirements of home buyers and sellers alike. We have built our reputation on extraordinary service and professionalism. Our company is comprised of people who live and work in the surrounding communities. We have personal knowledge of each neighborhood's nature and growth possibilities. Whether your focus is schools, shopping, transportation, or recreational facilities our associates will draw upon their knowledge of local areas to find the ideal property to meet your needs. We supplement this high-touch philosophy with a high-tech edge. We have quick access to local MLS databases and software to help us analyze local market conditions. If you are one of the growing numbers of real estate investors, our commercial division is more than capable to provide our clients with commercial and income properties. Our best asset is our people. Our dedicated and talented staff of professional New York State licensed real estate agents will make every effort to make sure your transaction goes as smoothly as possible. If you are interested in exploring a career as a real estate professional feel free to contact us at careers@c21amhomes.com for in depth details into licensing and training opportunities that are unmatched in the industry. If you have any real estate questions about our services or if you are looking for properties in Nassau County , Suffolk County , Queens County , or Brooklyn , we can help. Please contact us to set up a free no-obligation consultation! We have been serving Long Island for over 16 years. CINOs Hot Bagels is a 3rd generation, family owned and operated business serving Long Island, NY and delivering New York style bagels around the country since 1991. We have been making New York bagels and spreads the old fashioned way  kettle cooked and baked to perfection. Our store is located in Oceanside, NY and have been serving the community with a delicious home baked flavor you can taste with your first bite. At CINOs Hot Bagels, we strive to bring our customers the absolute best bagels and spreads available! WE SHIP NEW YORK BAGELS ANYWHERE IN THE USA! Dream Big In Coleman Country! If you can dream it, you can do it at Coleman Country! Saddle up for all the fun ahead on The Ranch. That is our name for this extraordinary place; a place where we encourage our campers to dream big every day. And, as they do, we are there every step of the way to make their dreams come true. Every element of Coleman Country was designed to create an exceptional experience for each child. From our incomparable staff, to our outstanding programs, to our unparalleled facilities, we help campers discover their dreams and their best. Cool Breeze Pest Control Inc. Cool Breeze Pest Control, Inc. has been in business since 1992, our owner-operated pest control company is backed by more than 60 years of combined pest control and extermination experience. Our proprietor, a graduate of the New York State University at Farmingdale was named Technician of the Year by his former employer, and gained a great deal of experience working in the United States Army Corps of Engineers. He was chosen by Cornell University to be one of only five individuals nationwide to review their technicians handbook on termite control prior to the initial publication. Founded in 1958, Dees' Nursery & Florist is Long Island New York's largest florist, nursery, and garden center. We offer a large selection of houseplants, trees and shrubs, annuals, flowers, perennials, flower bulbs, and garden accessories to make your home and garden beautiful. Founded in 1988, Mr. Michael DiCocco was inspired by his past experience working in pizzerias and restaurants throughout high school to create an "Authentic Family Style Restaurant". The variety of menu items from our signature pizza pies and other delicacies include dinner specials, huge main entrees, delicious appetizers, specialty salads, and mouthwatering desserts. All Foods are prepared with top quality ingredients and fresh market produce. But excellent food and comfortable atmosphere are not the only reasons why customers come back time after time. 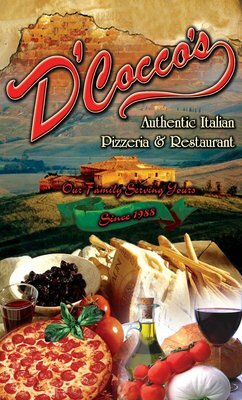 It has everything to do with D'Cocco's whose generous, sincere nature earned them recognition throughout the community. East Coast Sports Academy prides themselves in one of a kind sports instruction that teaches youngsters more than just the skill necessary to succeed in sports but the sportsmanship and conduct needed to be a team player. We have a 6,000 sq. foot facility that is equipt with five indoor batting and pitching cages. Of the 6,000 sq. foot facility, 4,500 sq. feet of turf area is there for team instruction, private and group coaching sessions and is also utilized for our one of a kind birthday celebrations. Home Appliance is a family-owned discount appliance store based in Oceanside, NY. Since 1987, Home Appliance has served customers in Oceanside, Long Beach, Island Park, East Rockaway, Rockville Centre, Malverne, Lynbrook, Valley Stream, Merrick, Bellmore and Massapequa with low prices on home appliances and top notch customer service. George & Sons Auto Repair Inc.
For over 75 years George and Sons Auto Repair Inc., has been a family owned and operated automotive repair facility. We are a third generation business located at 428 Dewitt Ave in Brooklyn, NY. Here at George and Sons, we are dedicated to the highest quality of automotive repairs and to customer service. We give all our customers a 100% guarantee on all of our work in writing. A caring and fun atmosphere . . .
Surf the web or catch up on your e-mail or watch your favorite TV show on our flat screen TV's while being treated. Purified and warmed water lines for your health and comfort. Due to our on-time appointment schedule, you may not even have to wait. Maxim Group is a leading investment banking, securities and investment management firm. The Firm provides an array of financial services including: investment banking, equity research, private wealth management, structured products, and global institutional equity, fixed-income and derivative sales & trading to a diverse range of corporate clients, institutional investors and high net worth individuals. Maxim Group is registered as a broker-dealer with the U.S. Securities and Exchange Commission and is a member of the following: Financial Industry Regulatory Authority (FINRA); Municipal Securities Rulemaking Board (MSRB); Securities Investor Protection Corporation (SIPC); NASDAQ Stock Market; and NYSE Arca, Inc.
We are Licensed and Insured Master electricians who service Commercial and Residential Properties in New York, Nassau & Suffolk Counties. "Expirence the difference in Member Services from People Who Really Care." The Verizon Foundation is focused on using technology to solve critical social issues in the areas of sustainability, education, and health care. Through the support of our employees and resources, we help address the needs of communities around the world.